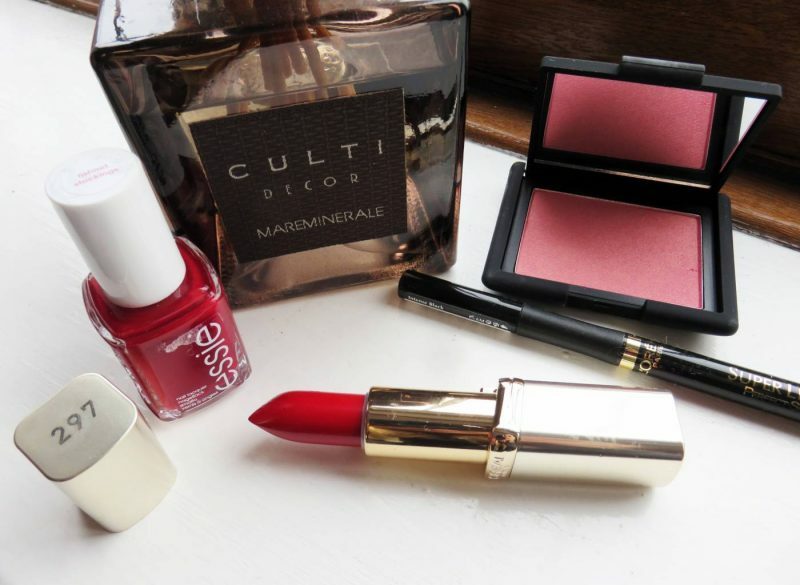 Just before Christmas, I received one of the loveliest gifts from two of my favourite brands, collaborated. Diet Coke (the only fizzy drink I sip away at, although usually on a daily basis) and L’Oreal Paris Makeup. 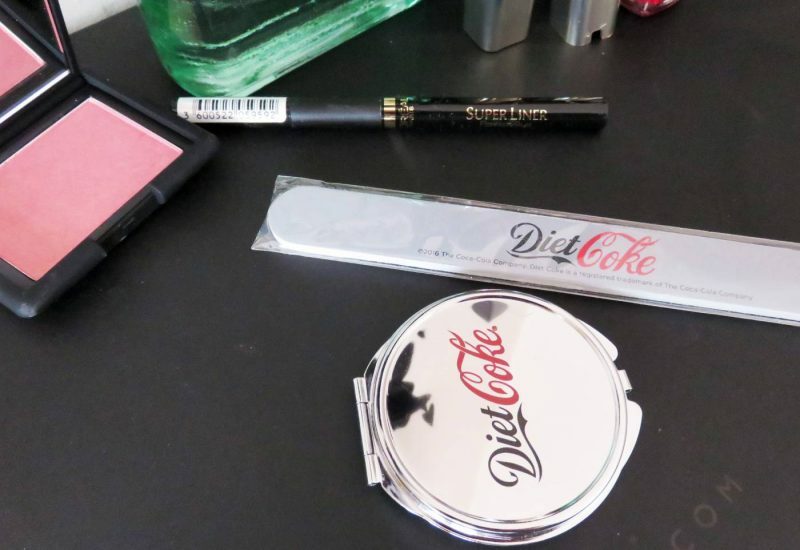 The package was themed around some fun and simple makeup and beauty hacks, utilising both cosmetics and the Diet Coke bottle. A bit confused? Read on! Lets start with the wow factor of this gift: L’Oreal Color Riche Lipsticks. I’m a sucker for a fantastic bold red lipstick, so to receive this lipstick in 297 Red Passion shade right before the festive season was as if they had read my mind. 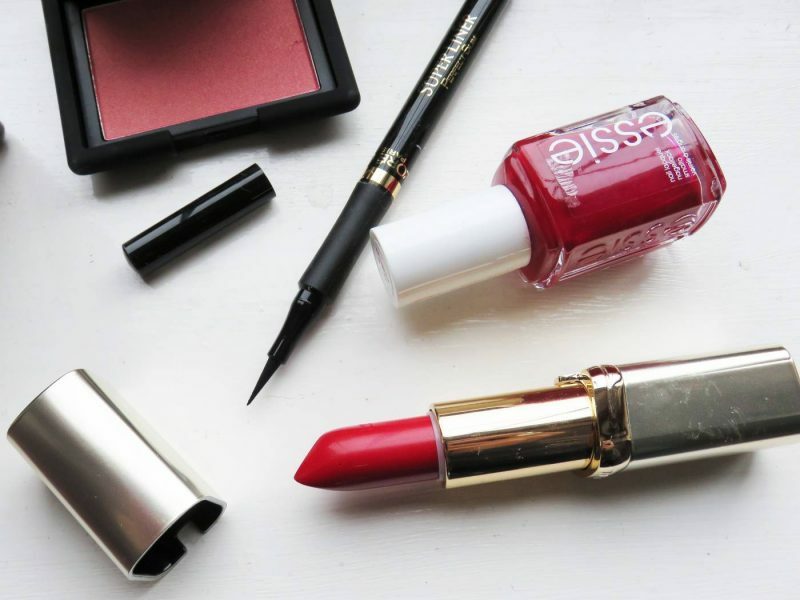 Not only is this shade close to perfection when it comes to choosing a standout red lip, these lipsticks are enriched with a combination of Omega-3 and Vitamin E, to keep lips feeling soft, smooth and moisturised. 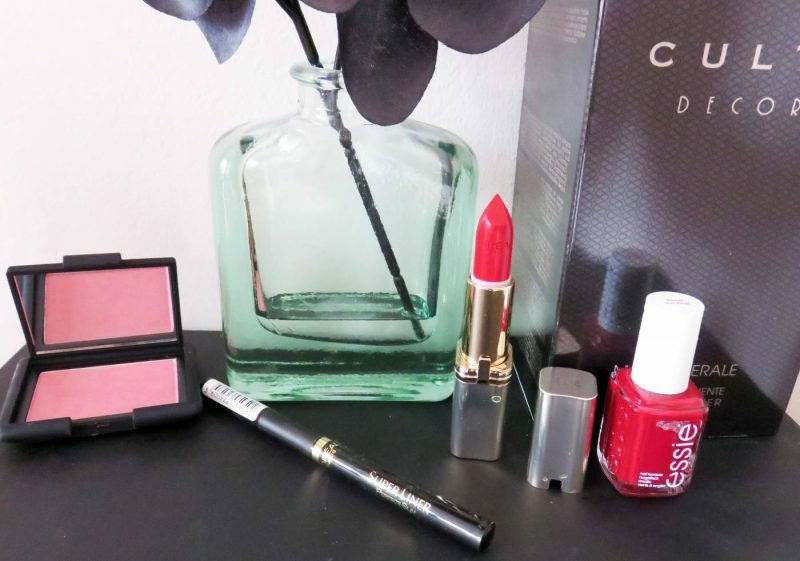 So if you look for nourishing benefits of a lippie as well as rich, deep colours, then these L’Oreal Colour Riche Lipsticks are brilliant for all occasions all year round, and not just for Christmas and New Year. 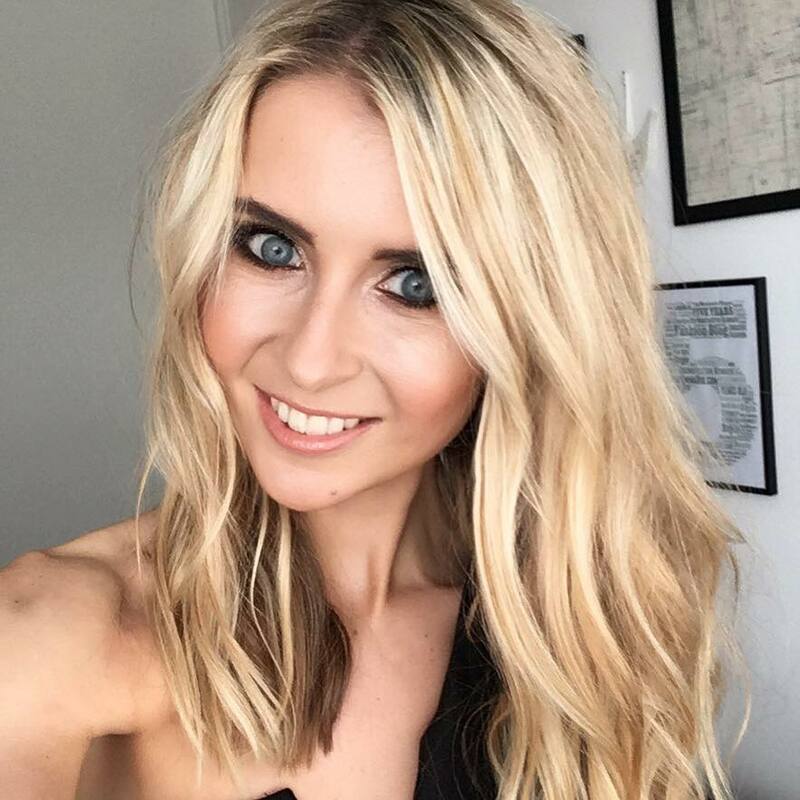 Alongside this gorgeous lippie, other staples makeup products to see me through the party season of Christmas and New Year was the L’Oreal Paris Superliner Perfect Slim eyeliner, for drawing on a precious, super sharp upper eyelid flick. And for the nails is this Essie Nail Polish in the quirky named Fishnet Stockings shade, to match perfectly with my lipstick. 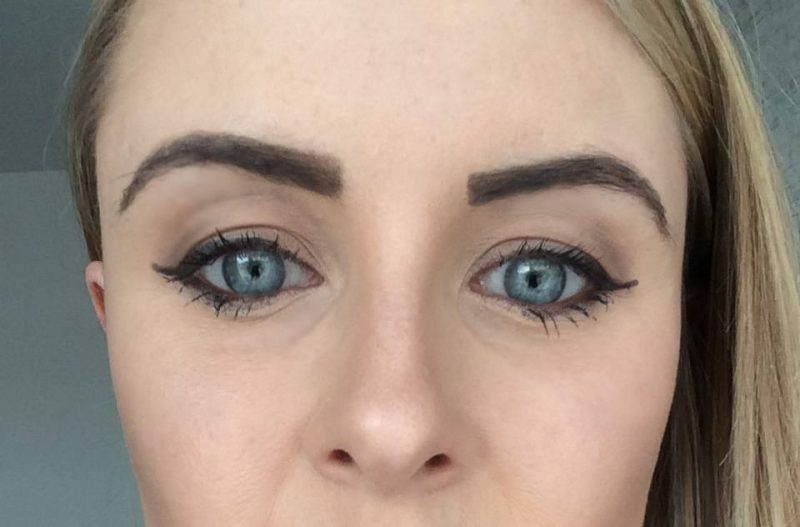 Then select another shade in a similar colour, but slightly lighter. Use the bottle lid to mark where the center third of your lips is as per the image below, and apply the lighter shade, dabbing gently. The finished look is beautiful, plumped up lips, with the focus being on the middle. To prevent lipstick rubbing off onto your glass or cup, make sure you always sip on a straw. However, this won’t just prevent colour rubbing off, it will also keep your lip colour looking fresh and vibrant, and look much more elegant when you sip. 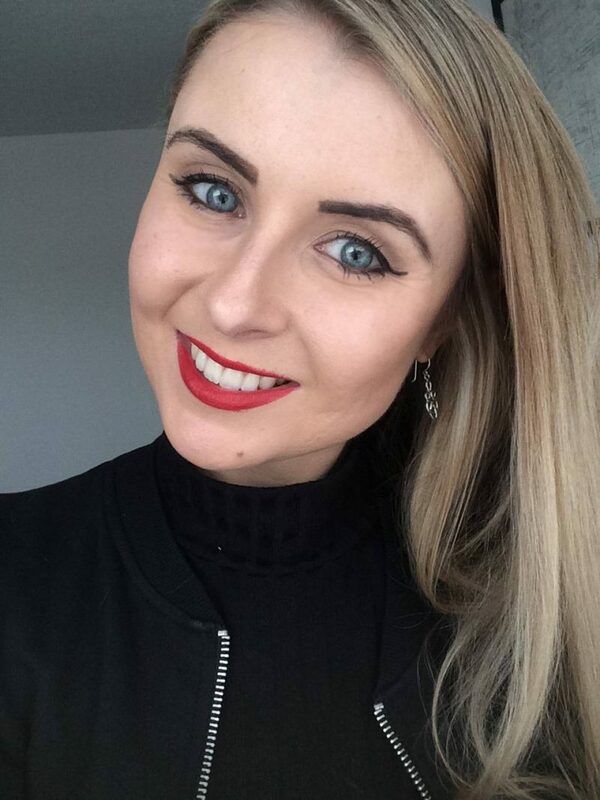 Ever thought about giving your lipstick double use by blending into your cheeks? Give your cheeks a subtle flush by applying small dabs of lipstick colour onto your fingers, and lightly smudged and blended into your cheeks just above the cheekbone (or apple, depending which shade you decide to use. I’d use a light pink shade on the apples, and a brown, dark pink shade on the cheekbone). 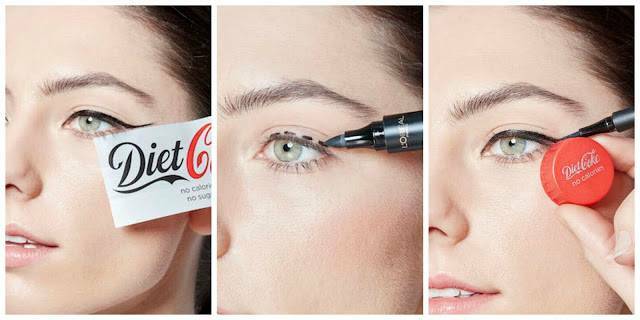 Get the perfect eyeliner flick on your upper eyelid by first using the diet coke label to get a straight, sharp edge to your flick. Just place the paper below and draw a sturdy line above. You can also get a smoother shape by using the lid as per the above pic! 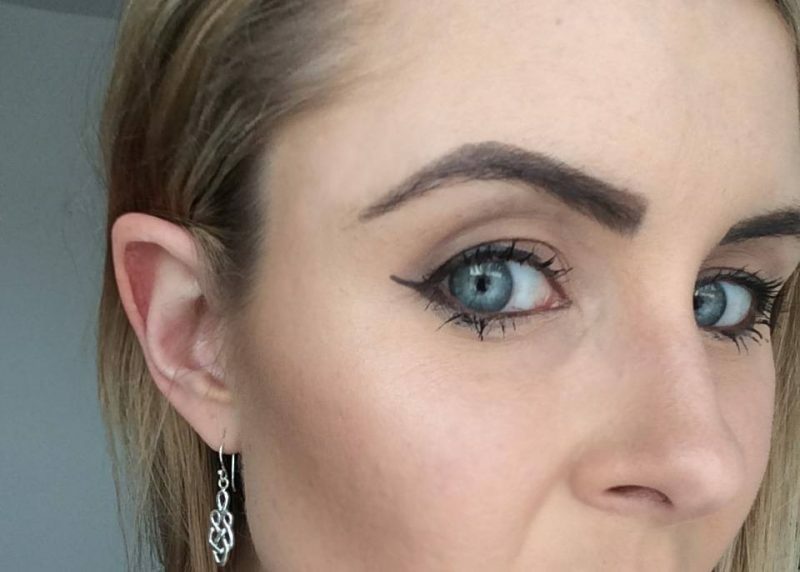 Over Christmas, Diet Coke ran a competition on their Facebook page to call out for the most festive party looks, created with makeup. 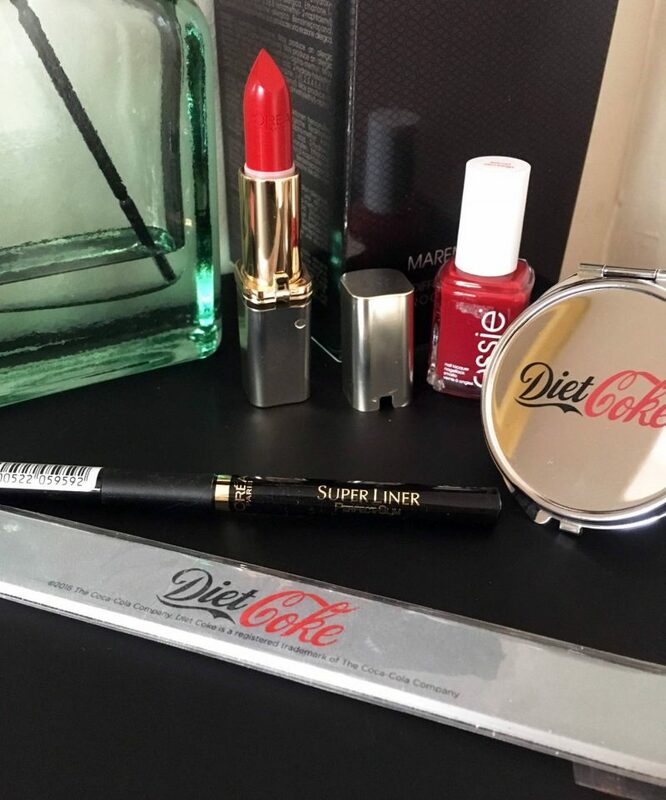 The winners could win some of these special Diet Coke beauty hacks packs, filled with these amazing products I have been playing with. 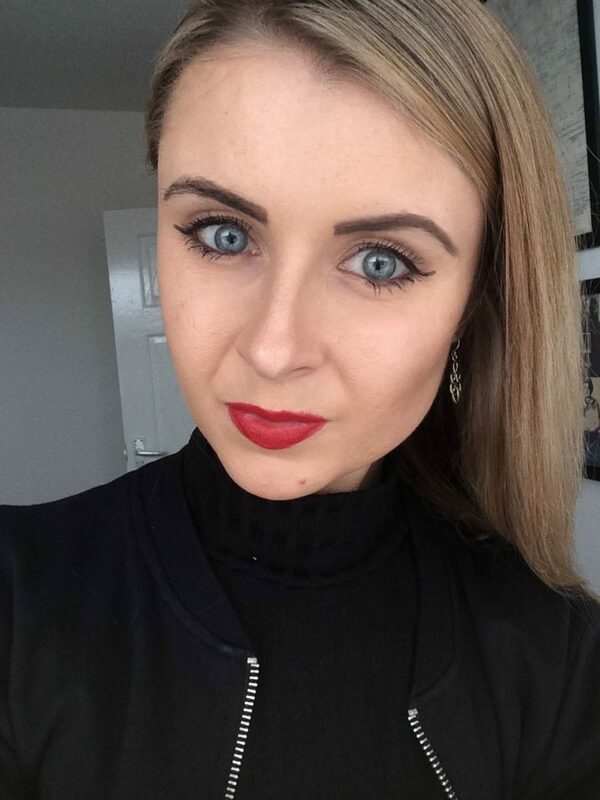 I wanted to create a flawless, bold look, with neat eyebrows, a sharp eye flick, soft contour and a strong dark red lip. 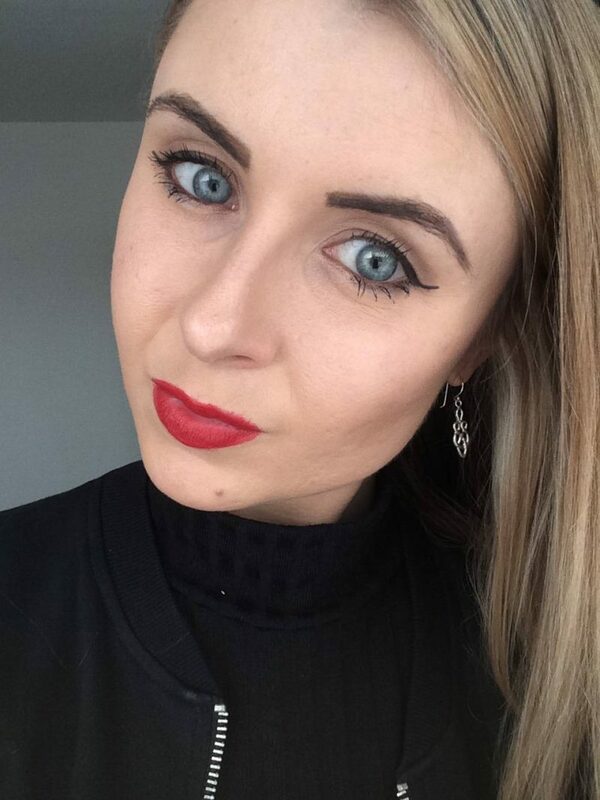 So using my new L’Oreal favourites, I created the below. Hope you like it!